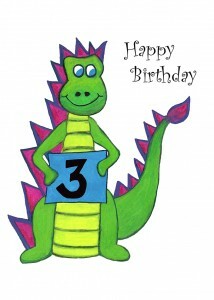 This birthday card features a bright green and purple dragon holding a blue sign with the number three on it. Each card has a gloss sheen on the outside and is blank inside with a matte finish. 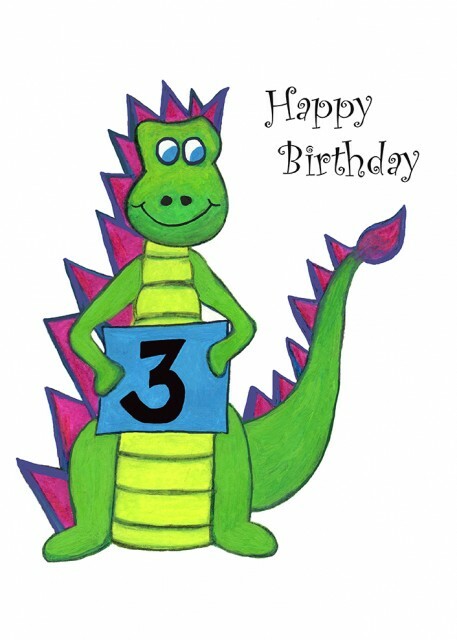 This is a perfect card for any child celebrating their third birthday who loves dragons!